It is among America's most sacred spaces: Arlington National Cemetery has stood for a century and a half as a resting place for and memorial to members of the U.S. armed forces who fought for our country. This June, the cemetery just outside Washington, D.C. marks 150 years in operation. It is as busy as ever: up to 30 internments happen there each day. Still, Arlington faces challenges. 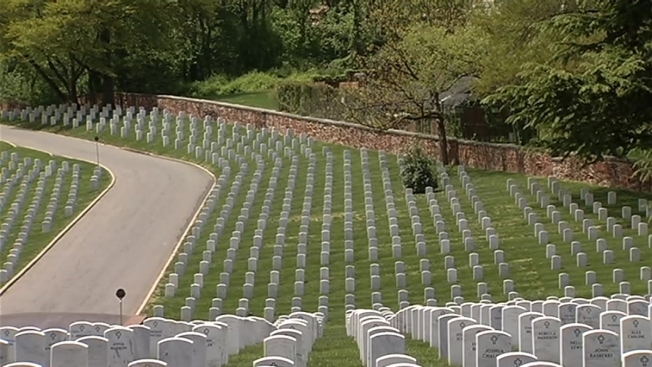 With 20 million living American veterans, soon the cemetery will run out of space. Arlington is looking for land to expand into, but the staff knows that at some point in the near future the current land will be a memorial, not an active graveyard. And it is still grappling with how a national landmark with so much history can move gracefully into the modern day. In 2010, news broke that paper-based record-keeping at Arlington had become so poor that some graves were mismarked and some urns had been discarded. Arlington threw out the paper maps and index cards it was using to record gravesites and now uses geospatial records that are accurate to within three inches. That data has allowed Arlington to build a new mobile app for visitors, which will debut soon. Visitors can view maps and save the location of the graves of their loved ones. In the videos below, take a tour of the cemetery that bears the weight of our nation's wars, and learn how Arlington is preparing to honor the men and women who serve now and in our future. For all the events of the 150th anniversary, click here.